I decided to finally add a proper woodworking vise to my arsenal of tools. 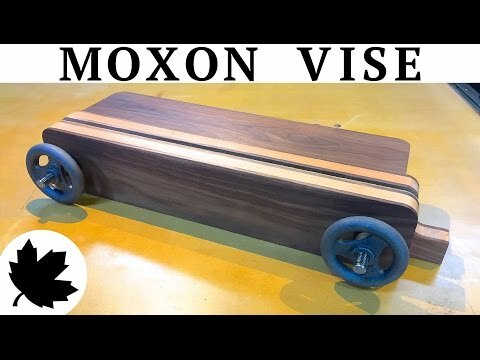 I choose a Moxon Vise for it versatility and relatively low cost. I picked up a kit for this vise from Benchcrafted and for what you get, the price was acceptable. The downside to living in Canada is that sometimes tracking down hardware at a reasonable price can be challenging. Since I expect this vise to be with me a long time, I didn't hold back on materials. I went with a wooden Oreo of Walnut and Beech wood. Instead of just having two jaws for clamping, I added a small table to the back of the fixed jaw. It gives me a nice square surface to reference off of when laying out dovetails and other joints. The table also adds stability.